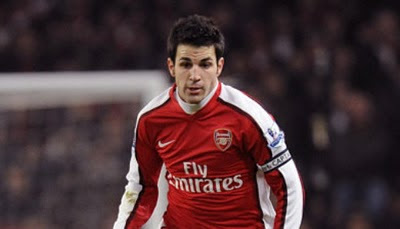 Arsenal have told Barcelona: You can have Cesc Fabregas for £50million. Barcelona are ready to begin a second transfer saga with Arsenal after targeting Gael Clichy. Robin van Persie arrived in South Africa last night knowing he's in the best form of his life. Deportivo are ready to launch a bid for Arsenal's Mexican forward Carlos Vela. Arsene Wenger has made a fresh £8million bid for French centre-half Laurent Koscielny. Arsenal outcast Philippe Senderos is in line for a £3million move to Fulham after the World Cup. Gary Neville has accused Fabio Capello of getting it wrong by leaving Theo Walcott out of his World Cup squad.